Oracle VirtualBox 5.2.8 has been released on February 27th, 2018. Oracle VirtualBox 5.2 is the latest major release after launched by Oracle team. This version has the new feature to export VM to Oracle Cloud, Unattended guest installation, improved tools handling with more attractive icons. Oracle team also added an experimental feature for audio support for video recording. See the ChangeLog for more details. This article helps you to install VirtualBox on Ubuntu 16.04 LTS systems. You must have logged in to your server using root or sudo privileged user. After login to your system update current packages of the system to the latest version. Let’s import the Oracle public key to your system signed the Debian packages using the following commands. 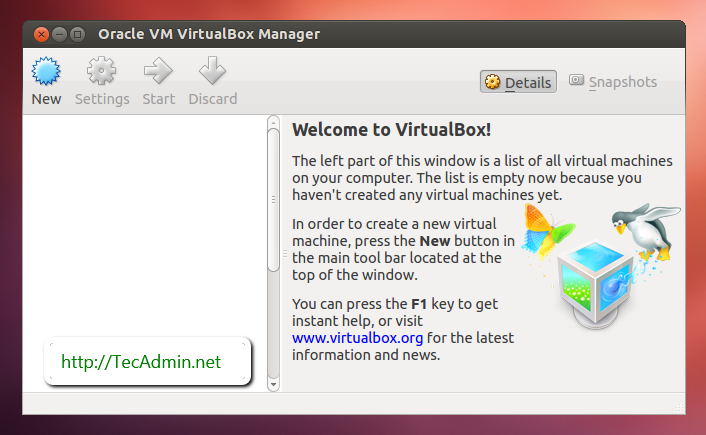 Now, you need to add Oracle VirtualBox PPA to Ubuntu system. You can do this by running the below command on your system. sudo add-apt-repository "deb http://download.virtualbox.org/virtualbox/debian xenial contrib"
This command will add an entry to /etc/apt/sources.list at end of the file. After completing the above steps, let’s install VirtualBox using the following commands. If you have already installed an older version of VirtualBox, Below command will update it automatically. We can use dashboard shortcuts to start VirtualBox or simply run following command from a terminal. I, Rahul Kumar am the founder and chief editor of TecAdmin.net. I am a Red Hat Certified Engineer (RHCE) and working as an IT professional since 2009..
or been moved out of Incoming. E: Unable to correct problems, you have held broken packages. I can try this ,but error is not resolved, please help me. I have the same problem! Did you solve it? Its very helpful, Today I posted virtualmin 5.2 on Ubuntu 18.04 in my website. Which OS version are you using? Thanks for the help man. E: The repository ‘http://download.virtualbox.org/virtualbox/debian artful Release’ does not have a Release file. N: Updating from such a repository can’t be done securely, and is therefore disabled by default. N: See apt-secure(8) manpage for repository creation and user configuration details. thanks a lot for publishing this guide. Thank you man, your tutorial was on point. Simple and direct. E: The list of sources could not be read. Thanks so much, finally got me going in Ubuntu 17.04. It looks “daniel” user doesn’t have sudo privileges on your system. Please switch to root user or any user with sudo access and run following command. 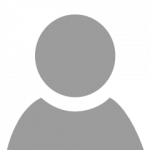 gpg: no valid OpenPGP data found. I dont know what i did wrong, thanks in advance. It looks you copied command with dollar “$” symbol. Please copy command without dollar prompt. then copy and past the following at last of the file and Save it. Its not working for me. Saying that vboxdrv kernel module is not loaded. Please run /sbin/vboxconfig to recompile and run. However when I tried this, its not working again. Thank you very much! This really helped. Hello. I used this guide and i got it installed fine. However I noticed that when I open virtualbox from the search bar its different than when I open it from the terminal using virtualbox. When I open it from the search the file options is missing, doesnt show the virtual machines, and the GUI is different. If I open from terminal then I can get the file option and it shows the virtual machines. I`m not sure if this is normal or not … but it seems really weird. I do not have two different versions installed. I am on Ubuntu 14.04 x64. Is there a way to get the terminal version to open without having to run through terminal, like make a shorcut to that version or something? I dont really want the terminal open all the time just to use virtualbox. When I close out of terminal the program closes out as I`m sure you know. Thanks for any help on this! It seems to be a difference of root. If I am root by say sudo -i in terminal and then run virtualbox I get the right version to run with all the options and virtual machines. However if I am not root and type virtualbox I get a watered down version and now virtual machines. This is the same version that I get if I just open it using search. I hope this gives more info into whats going on… if anyone sees this. Very nice and easy to follow guide. However, what now? How do I run Virtual Box from my clientcomputer? Package virtualbox-5.0 is not available, but is referred to by another package. Works like a charme, thank you for your clear instructions ! Extension pack is already included, USB support worked out of the box. E: Unmet dependencies. Try ‘apt-get -f install’ with no packages (or specify a solution). I had the same issue. You are most likely missing important software repositories from your /etc/apt/sources.list. https://wiki.debian.org/SourcesList. Also, 4.3 is not the stable version for Wheezy. If i go ahead with the .deb will I screw my dependencies ? Thanks very much for posting this, Rahul. The info is clear and complete (unlike the cryptic info on https://www.virtualbox.org/wiki/Linux_Downloads, and I was able to successfully install VirtualBox 4.3.18 on to my Ubuntu 14.04 OS. Thanks. Followed your tutorial here exactly as written on a Debian Wheezy 32bit. I got an error: Failed to open the X11 display! Do you have Desktop (Like: Gnome, KDE) installed on your debian ? If not please install it first.